The kid-friendly voices behind the long-running Kidz Bop franchise are going to be singing loud and clear on the Billboard 200 chart next week. The "Kidz Bop 23" album is aiming to debut at No. 2 on the chart with around 65,000 copies sold by week's end on Sunday, Jan. 20, so say industry forecasters. The Kidz Bop series -- released on Razor & Tie Records -- has sold millions of albums featuring child-friendly covers of contemporary pop songs. The new Billboard 200 chart's top 10 will be revealed on the morning of Wednesday, Jan. 23. So far, the brand has sold 13.2 million albums in the U.S. That figure includes all of the regular "Kidz Bop Kids" albums (Vols. 1-22) along with the line's spin-off sets (like "Kidz Bop Christmas" and "Kidz Bop Halloween Party"). 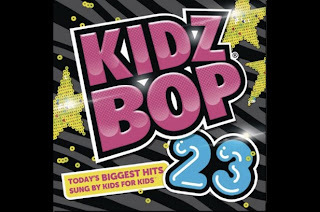 "Kidz Bop 23" includes covers of such Billboard Hot 100 top 10 singles asJustin Bieber's "As Long As You Love Me," Rihanna's "Diamonds" andfun. 's "Some Nights." While the Kidz Bop franchise has racked up 34 entries on the Billboard 200 chart, it has yet to earn a No. 1 set. Though it does have four No. 2 titles to its name -- a number that will likely grow to five next week. Standing in Kidz Bop's way next week will be A$AP Rocky, who is on course for a No. 1 debut with "Long.Live.A$AP." Sources say that the album, released through A$AP Worldwide/Polo Grounds/RCA Records, may sell around 140,000 copies. On SoundScan's Building chart (below), A$AP Rocky leads the list while "Kidz Bop 23" is in the runner-up slot. The Building tally is a precursor to the final Billboard 200 ranking -- reflecting the first four days (Monday through Thursday) of SoundScan's tracking week as reported by six major merchants. Elsewhere on the Building Chart, the "Pitch Perfect" soundtrack is No. 3, Bruno Mars' "Unorthodox Jukebox" is No. 4 and Taylor Swift's "Red" is No. 5. The "Les Miserables" soundtrack is in the sixth position while Phillip Phillip's "The World From the Side of the Moon" is No. 7. The Lumineers' self-titled album is at No. 8, followed by Mumford & Sons' "Babel" and One Direction's "Take Me Home" at Nos. 9 and 10, respectively. 1 NEW A$AP Rocky "Long.Live.A$AP"
2 NEW Kidz Bop Kids "Kidz Bop 23"
3 5 Soundtrack "Pitch Perfect"
4 6 Bruno Mars "Unorthodox Jukebox"
5 4 Taylor Swift "Red"
6 3 Soundtrack "Les Miserables"
7 14 Phillip Phillips "The World From the Side of the Moon"
8 8 The Lumineers "The Lumineers"
9 11 Mumford & Sons "Babel"
10 10 One Direction "Take Me Home"